Crossans has developed and grown it’s business reacting to ever changing market needs & trends. Our extensive knowledge has enabled us to customise our clients needs to include design, demolition & structural work. Projects can include electrical, plumbing, glazing, granite, lighting, flashing, sign lettering and decoration. 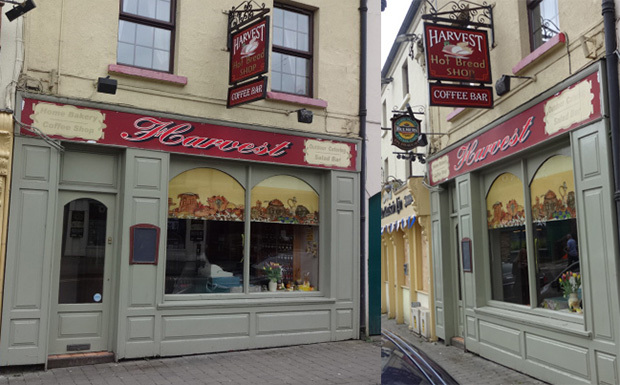 Harvest shopfront number 80 Main Street, Cavan is the original and very first shopfront constructed by our company in 1985. This is a typical example of how all our shopfronts we construct stand the test of time.